Welcome back to gurusblend tutorials, You might have been thinking, what is Number Navigation Widget? let me explain it to you..
A number navigation widget is a widget that helps blog viewers to navigate faster to the next page, from the image above, you will see an arrow that points to the numbers, and have next and last, that is exactly what number navigation looks like. The default blogger setting has the Newer and Older post widget, but the number navigation helps you to jump from one page to another page ten times faster than the default widget. now here is how to add the number navigation to your blogspot website. Don’t worry, i will give you the same style am using.This widget is in two forms. to add the number navigation widget using the css, here is how to do it. click anywhere inside the template area, then press ctrl + F, after doing that, copy and paste the following code into the search box and search for it. 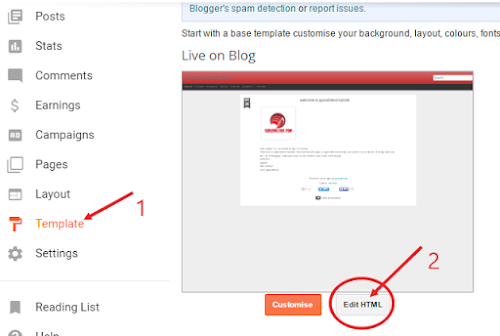 then click on Save Template, your Blog Visitors will now experience easy navigation from pages.